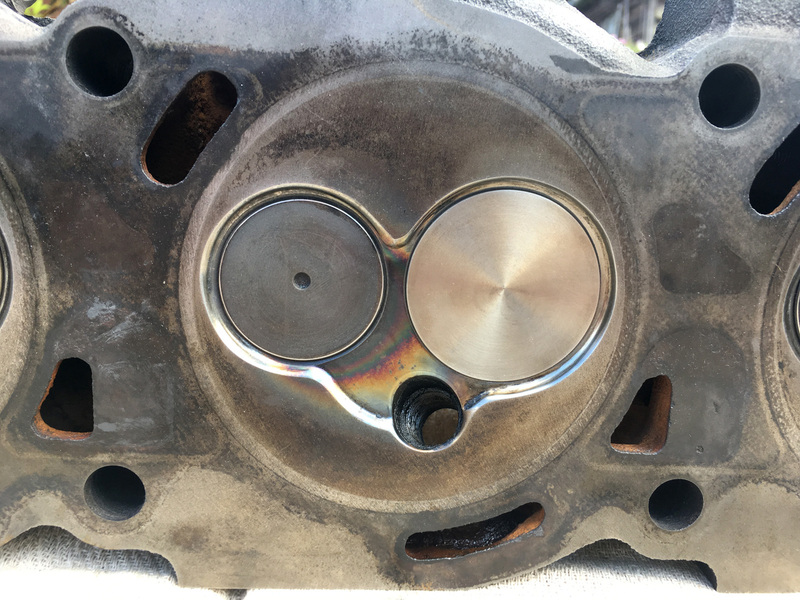 That looks like it's failed at the water jacket, rather than the cylinder ring allowing gasses into the coolant circuit - which is really surprising for a Reinz? I've taken 100k + engines apart with less damage than that (Reinz or not). 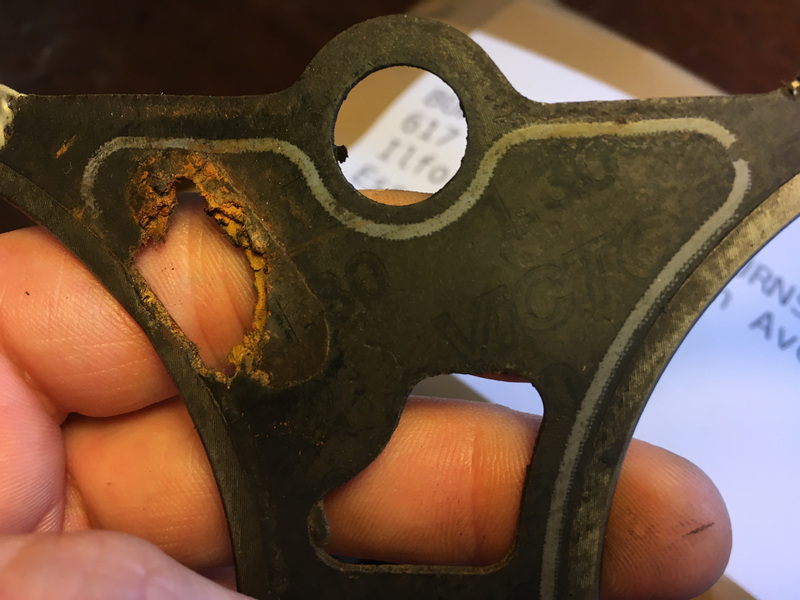 I've also never seen a gasket go so spectacularly, I'm considering ordering a set of Cometics from Burtons now as perhaps the compression ratio is a factor in the failiure? I've already bought a set ARP head studs, As they seemed to complement the ARP fixings already going on in the bottom end... Also the head bolts that came off were a mismatched set from 2 different manufacturers which seemed a bit off. Cometic are usually OK but I've never heard of them for an Essex. (Not until Steve just posted! Use cosmetics in all our high performance race essex engines. 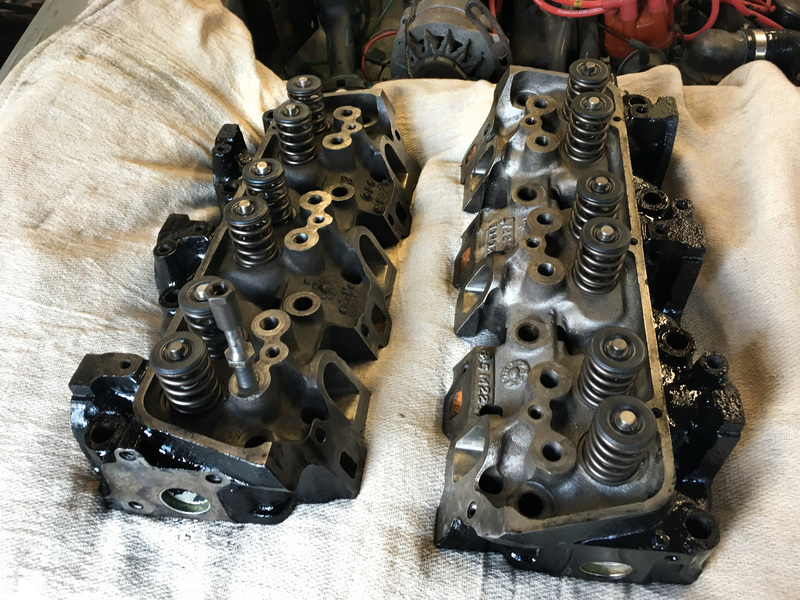 When I took the heads off I rang almost every machine shop I could find in the southeast who worked on engines / cylinder heads. 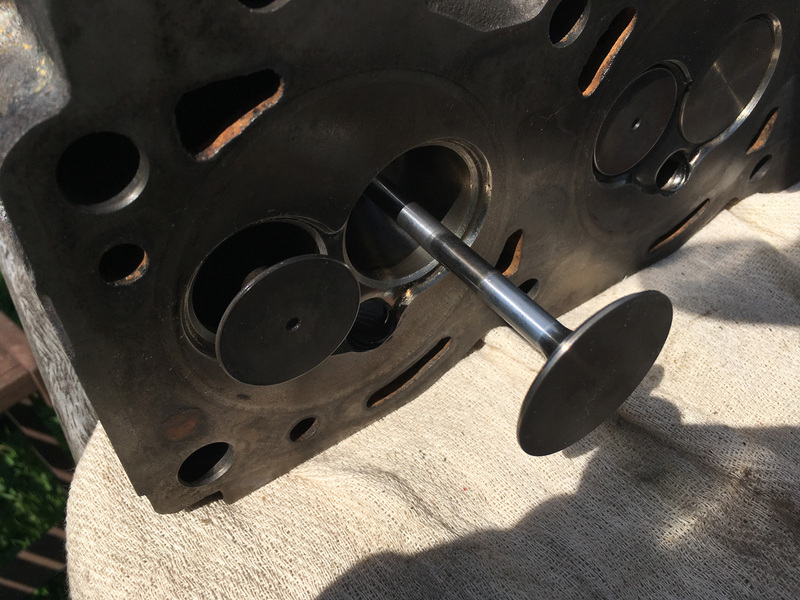 I had hoped to get the exhaust valve seats enlarged to take oversize valves but everyone I spoke to did not want to do the work for fear of damaging the heads. I even spoke to Burtons (who sell the oversize valves) but they no longer do any machining in house and generally supply oversize heads on an exchange basis. 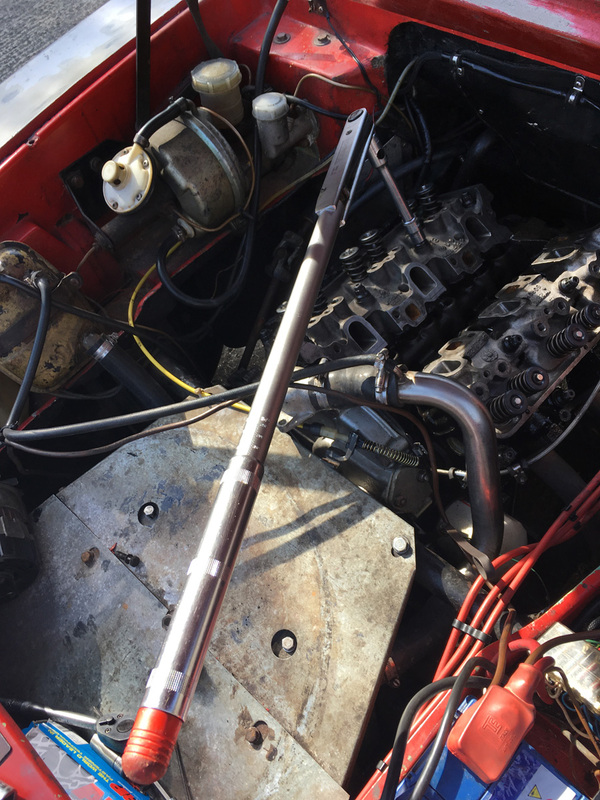 So I'm sticking with the standard exhaust valves on this set of heads. 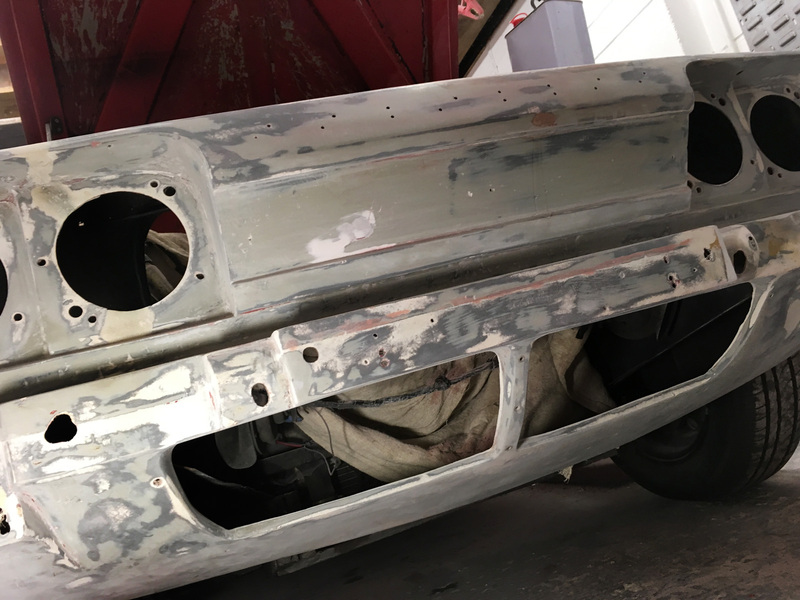 So In the end the heads went to Saunders Motorworks in Hampshire as they offered the best turnaround time, even then it took over a week to get the work done. 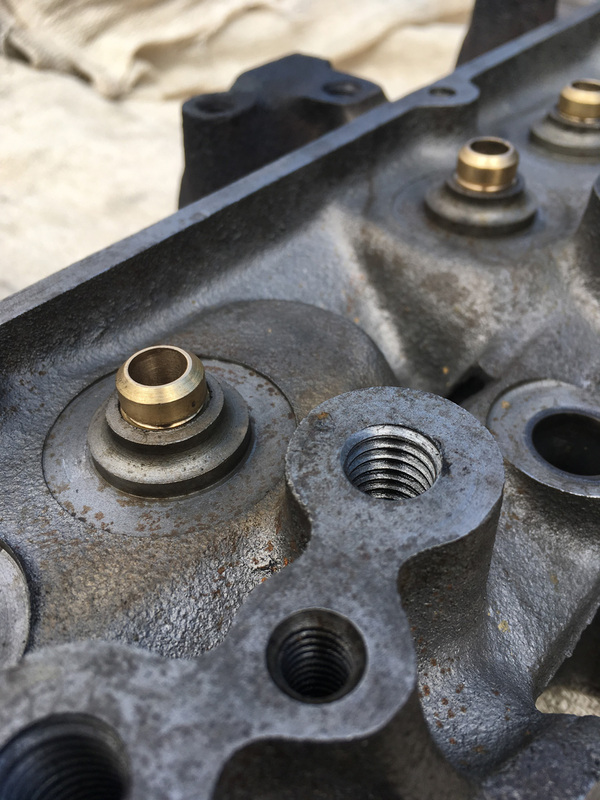 They have fitted the new burtons valve guides, Recut the valve seats and drilled and tapped the to take screw in rocker studs. The new guides stand a little bit proud in the port but they are at least smooth. 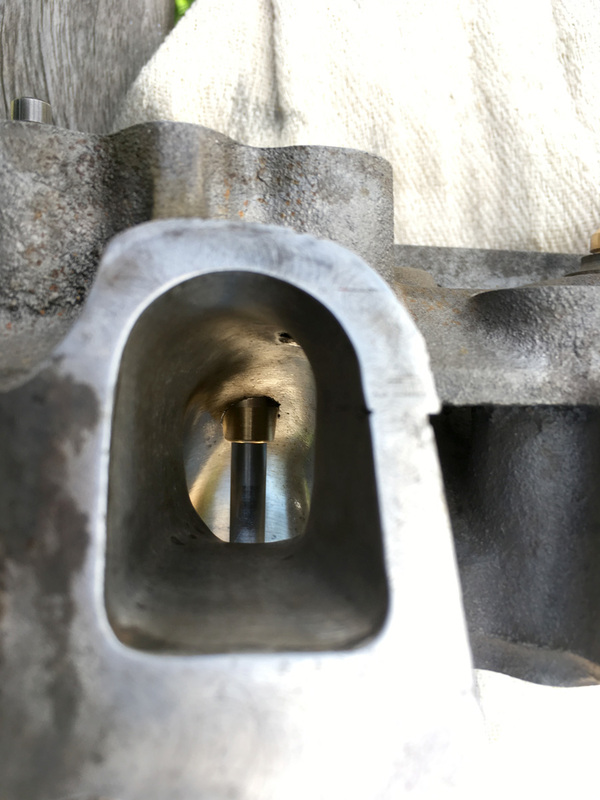 Machining marks on the head suggest that there has been some work done in the past to the face where the inlet manifold sits. 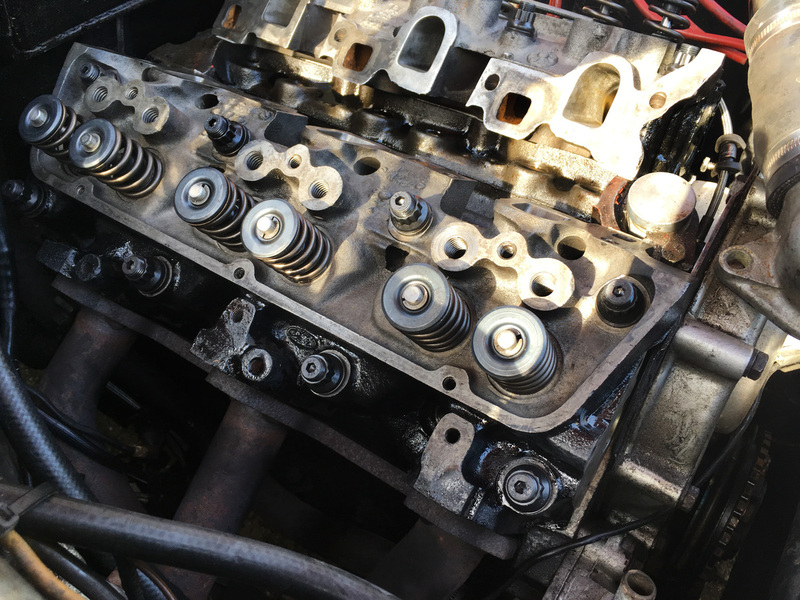 I then lapped the valves in. 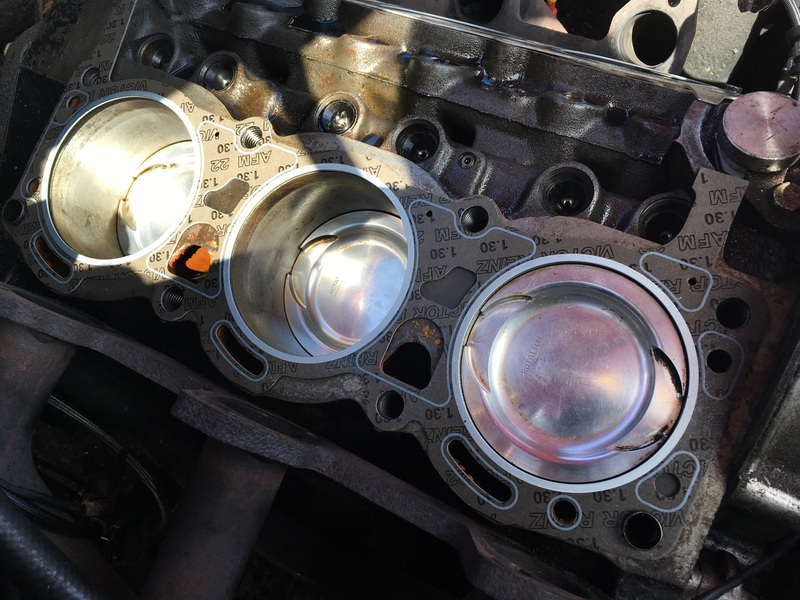 With the heads clean it was possible to see heat discolouration between the valves. To my mind this confirms that there has been some form of pre-detonation occurring, The heat marks are present on both heads not just the bank where the gasket had failed. I spent most of a morning getting the crowns of the pistons as clean as I could and vacuuming out the debris. 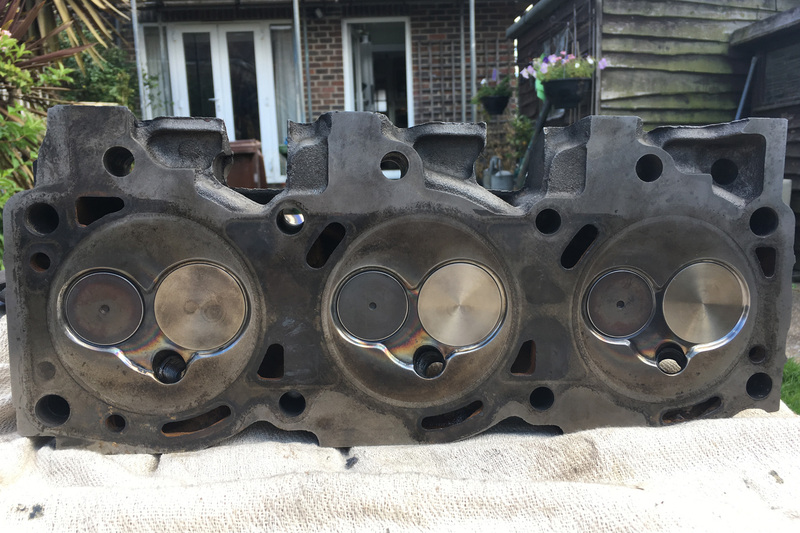 I've gone for a Victor Reinz Head Gasket in the end as I'd already bought them and the fancy Cometics were eye-wateringly expensive. If I have future problems, I'll consider getting a set. With the inlet on the studs and rockers could be fitted. 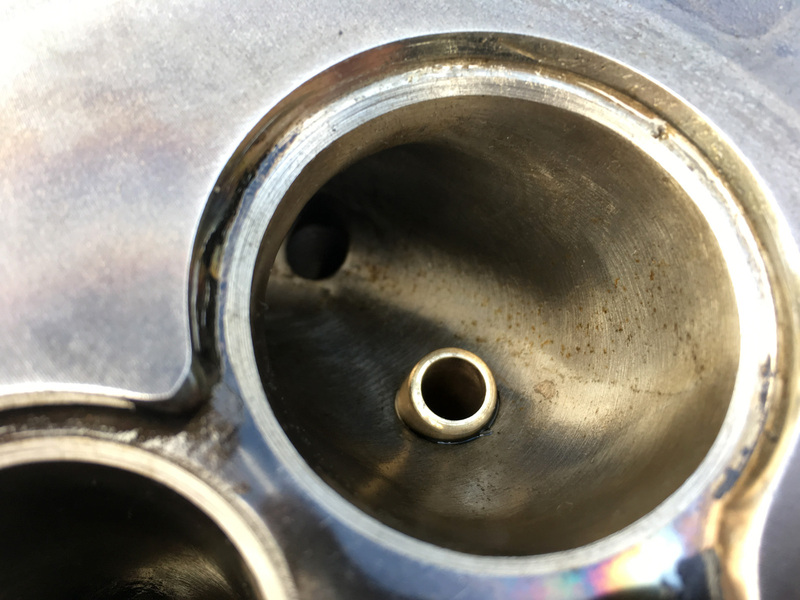 I'm not 100% sure which camshaft is fitted so wasn’t sure what to do regarding valve clearances, In the end I went for 0.36mm on the inlet and 0.41mm on the exhaust Measured cold. I will look at them again when I fit a set of alloy rocker covers in a few weeks’ time. That's all looking mighty impressive. 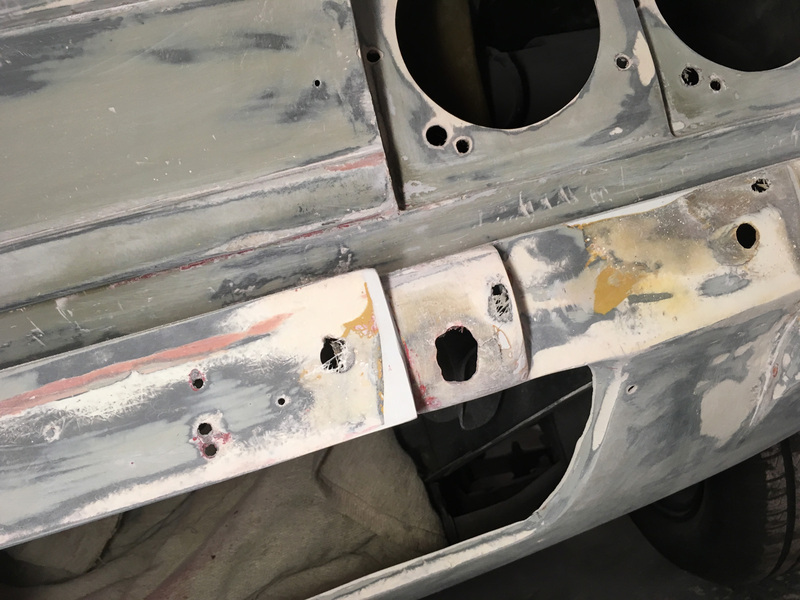 I've used ARP studs on my Triumph TR6. 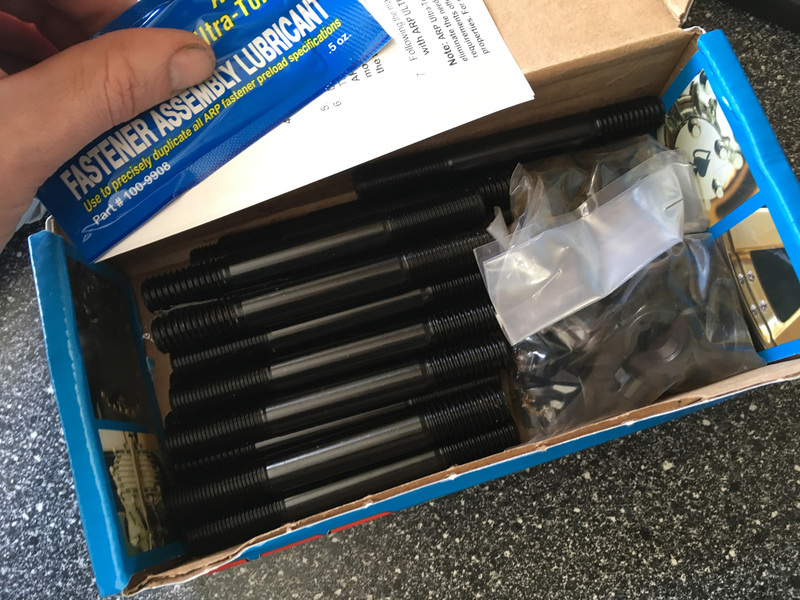 As you have said they advise a higher torque using their assembly lubricant . It's worth hanging onto the the instructions that come with the ARP kit, for future reference in case you ever have the heads off and torque again. 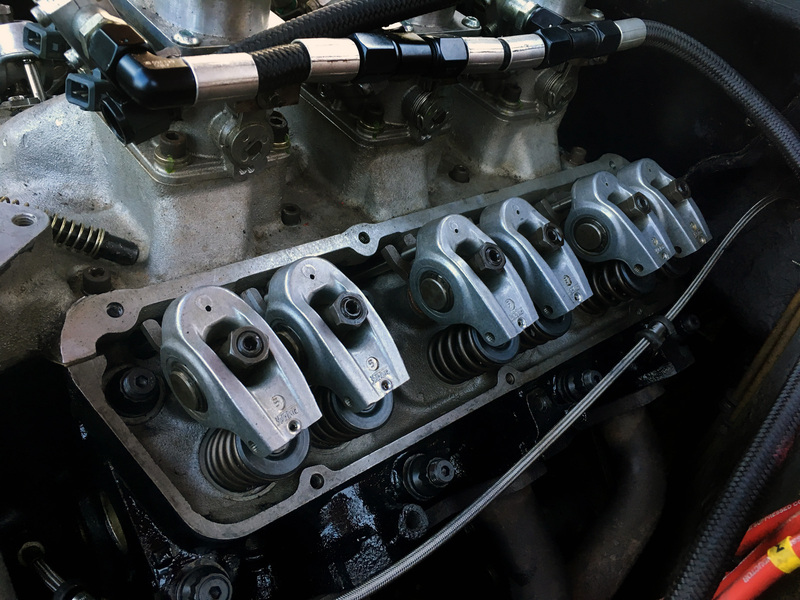 For the TR6 they advise SAE30 oil can also be used for assembly but at an even higher torque than their moly assembly lubricant. Joe do you have any bills that relate to "Heat treatment/Induction hardening"??. The Blueing on the heads looks remarkably similar to Induction hardening of the Exhaust seats. 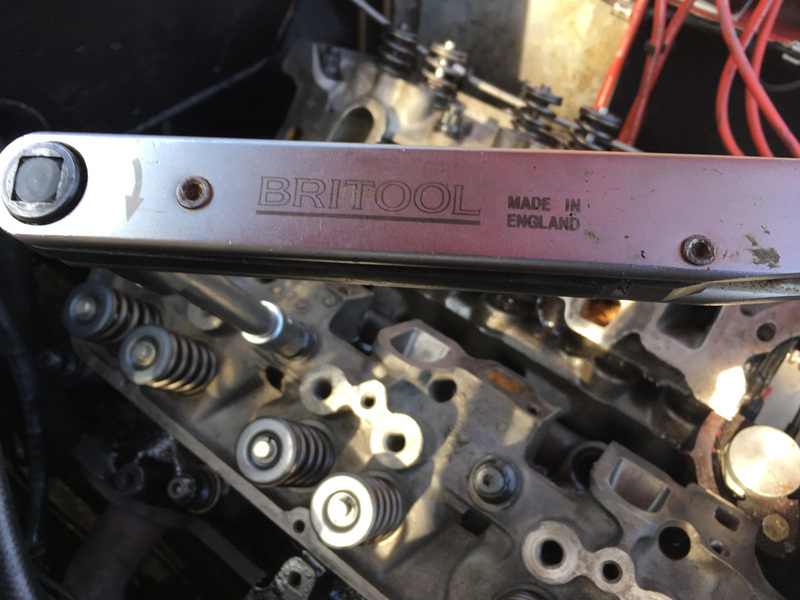 The later Cologne engines had this done in the factory as they had to run on unleaded from day one and that`s why 6b`s and GTC`s can tolerate unleaded without recession for large mileages. Just a thought and I may be wrong. All looking good but please don't try and fire it up yet. 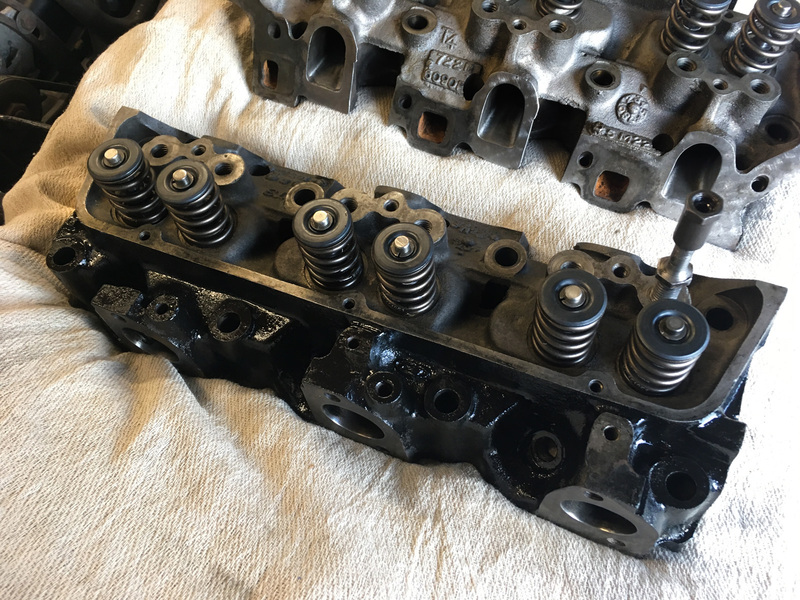 But , the change in ratio of the rockers could cause valve to piston contact if the previous build was tight on its clearances. May not be relevant on manually winding the engine , but at revs could be a different story. Did you do the build with putty to measure the clearance? Yep, I think most of the engine would be toast if that blueing was just the result of a poor mixture or detonation? Cheers, good point I did remember check it before testing. fortunately I don't think the cam is too wild probably similar to a V63 judging by the rev range. Unfortunately I have no bills that cover the head work done while the Heads were with John Hoad, I'd not considered the bluing could be part of a deliberate process... interesting idea. Joe do you mean John Wade? ?, not heard of John Hoad. Sorry I thought I'd posted this quote earlier in the thread, It was part of the description sent to me by the seller when I bought the engine last year... It explains a bit of background and elaborates on the connection to John Hoad. 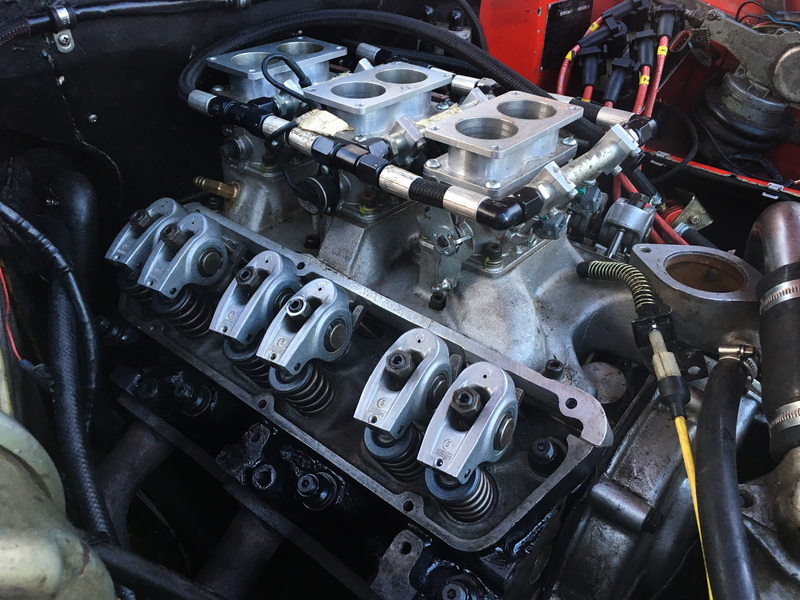 I sent the engine to Specialised Engines in Essex to be rebuilt to their Stage 4 spec including taking it out to 3.2 litres and using some cosworth pistons and the engine was delivered to my friend who was rebuilding my car in October 2012 (I can include the invoices for this work if you want them?) There were a few odd things when it first arrived, the triple weber DCNFs were on back to front and without the spark plugs in the engine was really stiff to turn over. 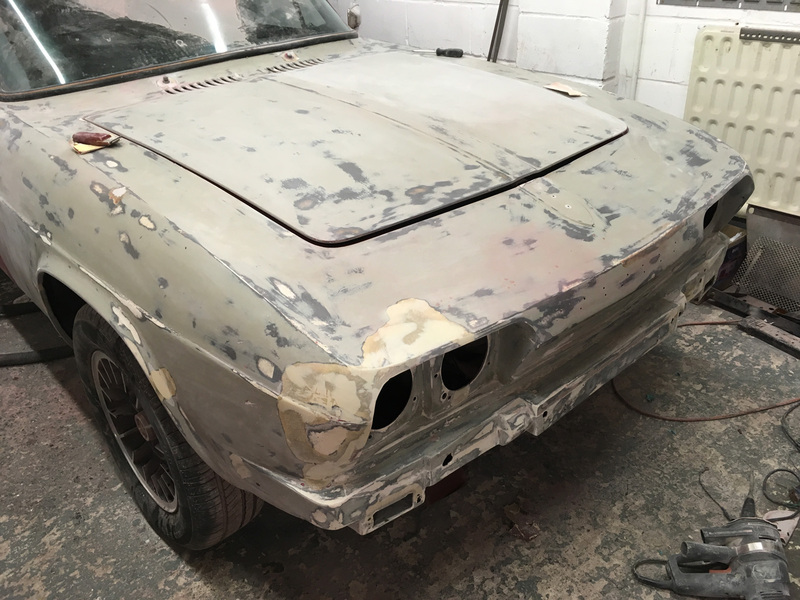 So we asked John Hoad from JPH motorsport to have a look as he lives just down the road and he found the standard of the build was not matched by the price i paid. 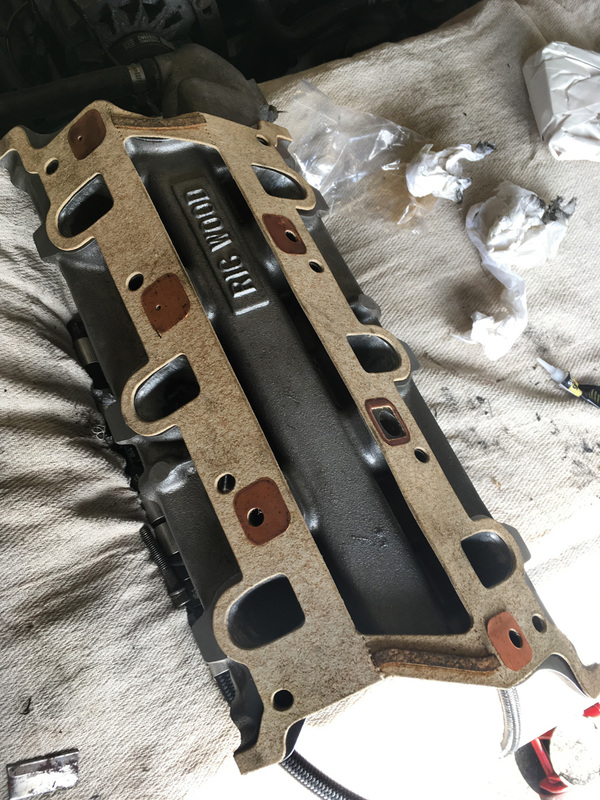 There was nothing fundamentally wrong with it but it was a collection of expensive performance parts bolted together and not carefully machined and matched. I got my money back through the credit card company and John set about stripping the engine back and rebuilding it. 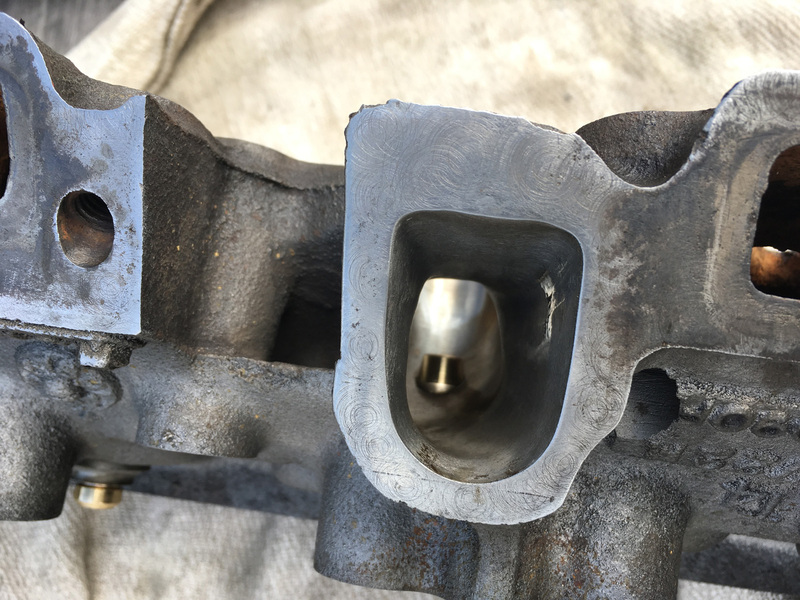 John used to work for Williams F1 and still works as a consultant for them so he was able, for example, to take the heads up to their factory and crack test and gas flow them matching them up with the inlet manifold which he ported out correctly. I have no receipts for this work hence it is not included in the advert, it was done by John as a friend of a friend. 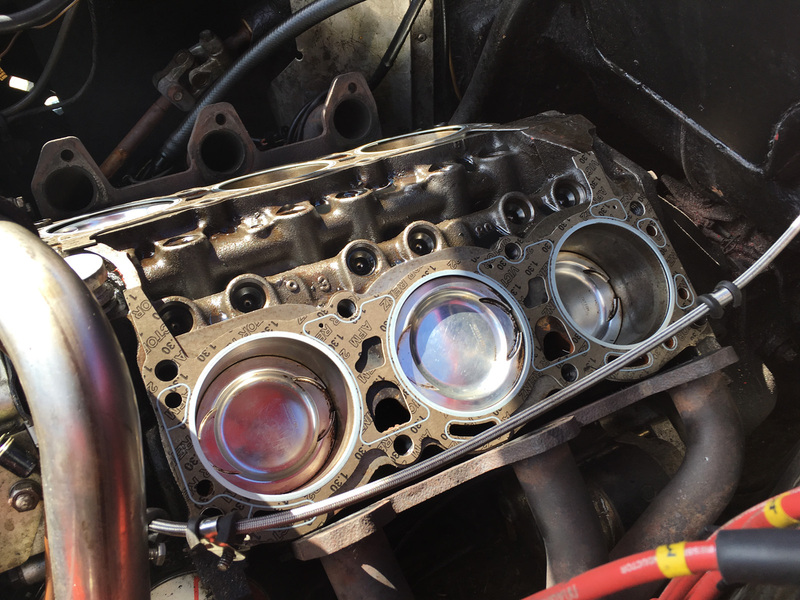 So i was left with a very nice engine with triple dcnf carbs. 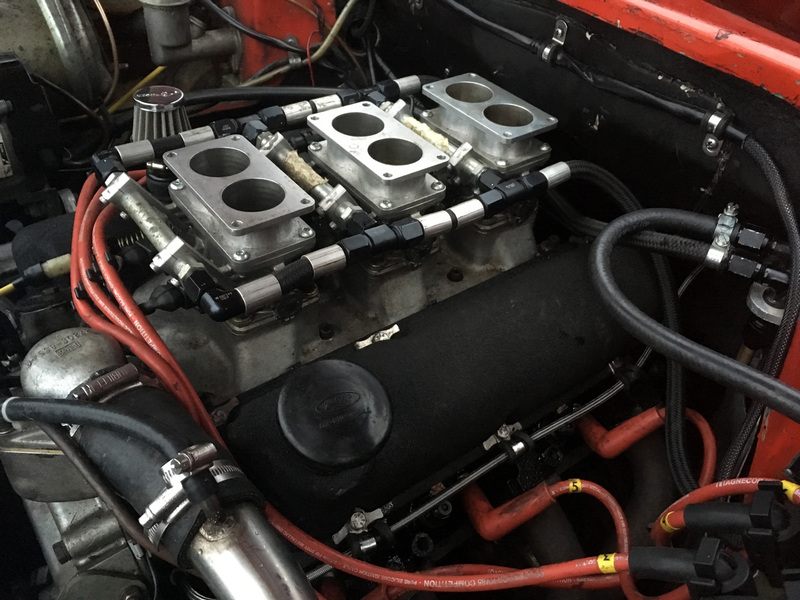 try as i might i could not balance the carbs and get her to run well so i took it up to Northampton Motorsport for a rolling road setup and it was whilst here that Troy found a couple of small air leaks around the carbs which was causing the issue with the mixture. We discussed the fact that i was trying to develop a solid reliable road car and he showed me some of the throttle body conversions he had done in the past and i agreed to let him convert the car to fuel injection. 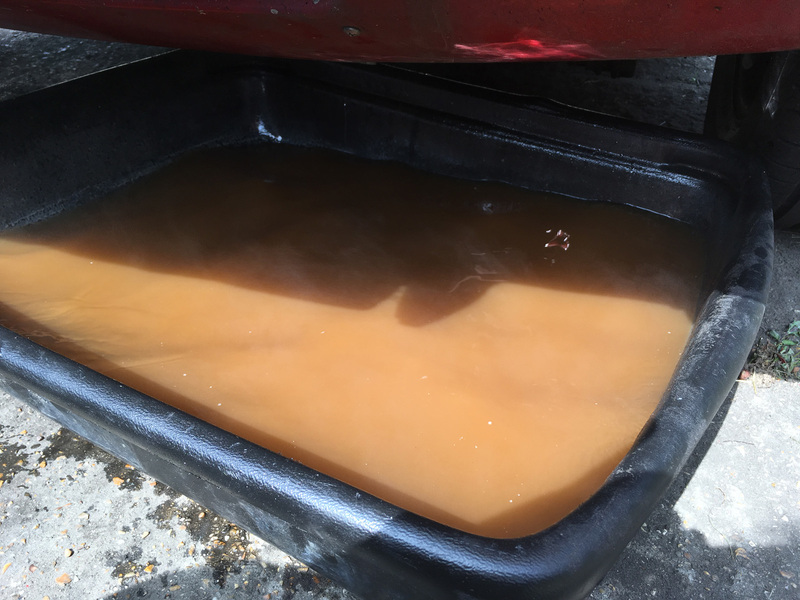 I've not really used the GTE much since fixing the head gasket, I spent some time flushing cooling system out, Which looked particularly nasty and took quite a few flushes to get rid of the contaminated coolant. 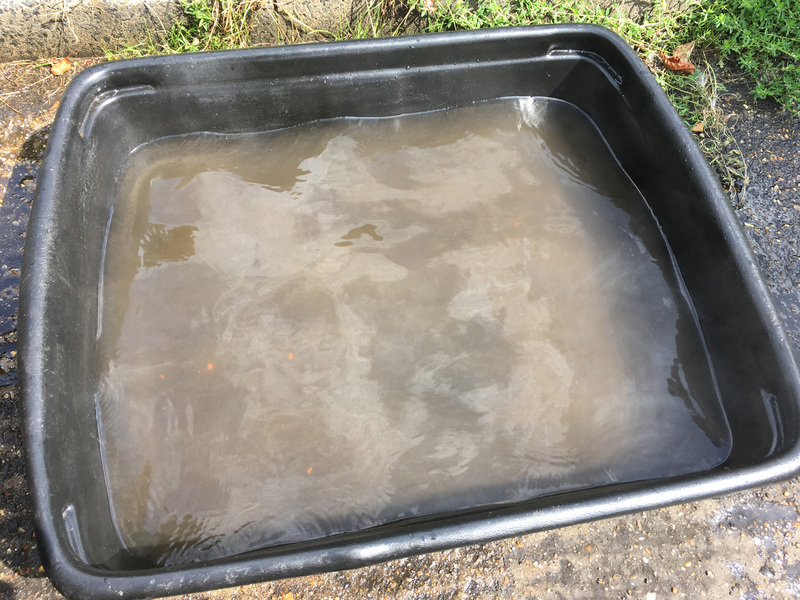 Last flush before refilling with coolant. 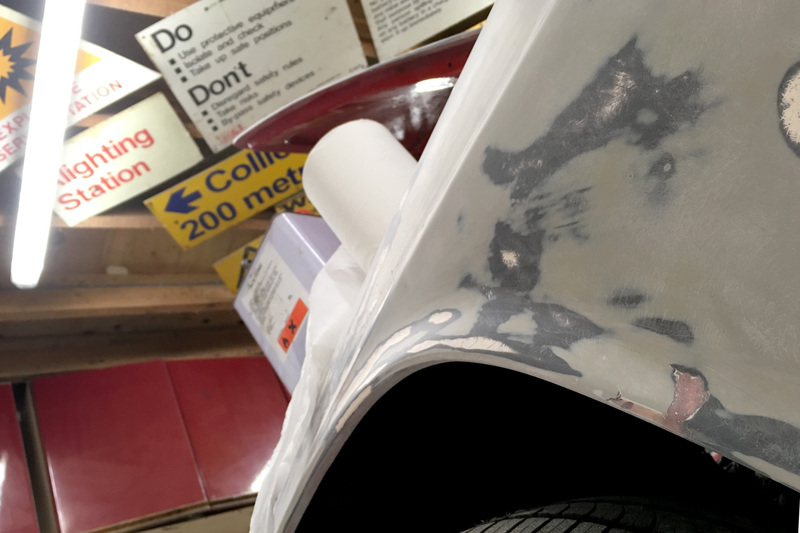 I'd more or less put everything back together but over the bank holiday weekend I experienced a bit of a tangent involving the paintwork... After the deer incedent the drivers side front wing was more or less stripped back to gelcoat in some places. 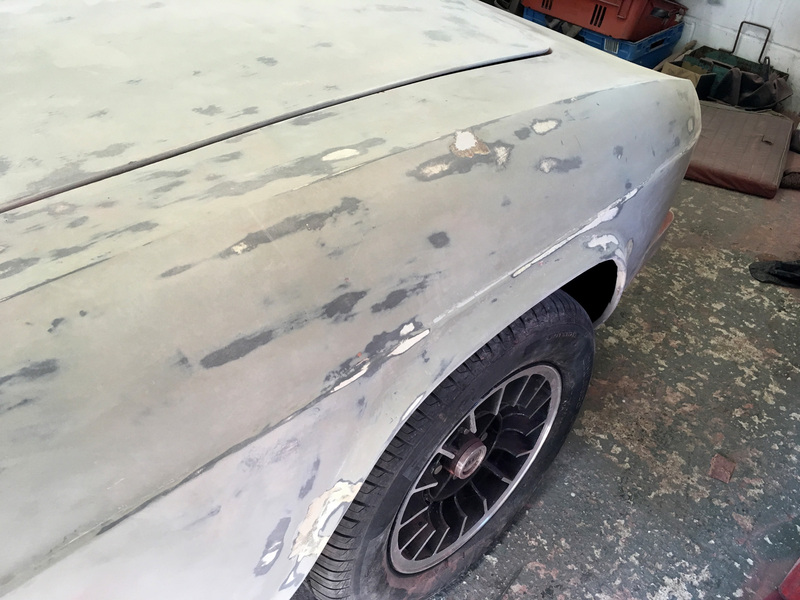 At this point it would probably have been easiser to chuck some primer over it and a couple of colour matched rattle cans and forget about it until I can actually afford a decent respray. 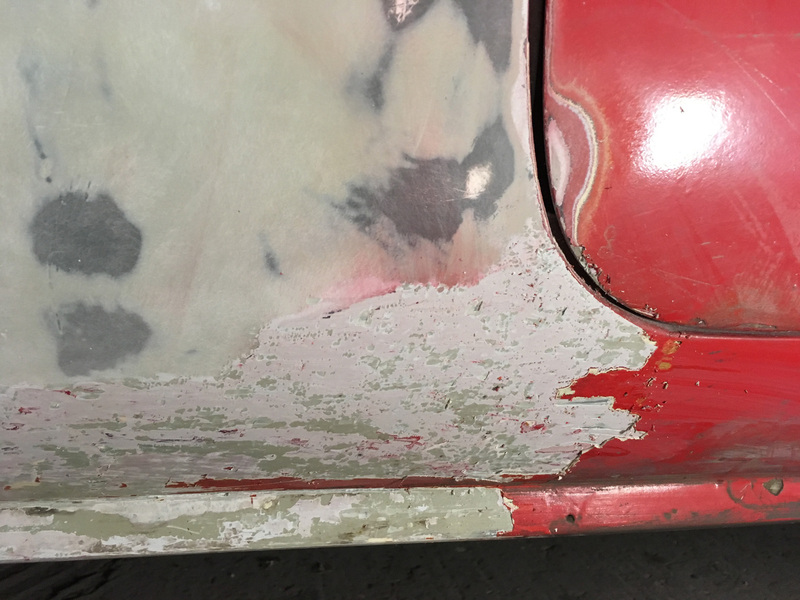 One of the problems with this is that due to the thickness of the paint it was quite hard to tie in the repair as the levels were all over the place. 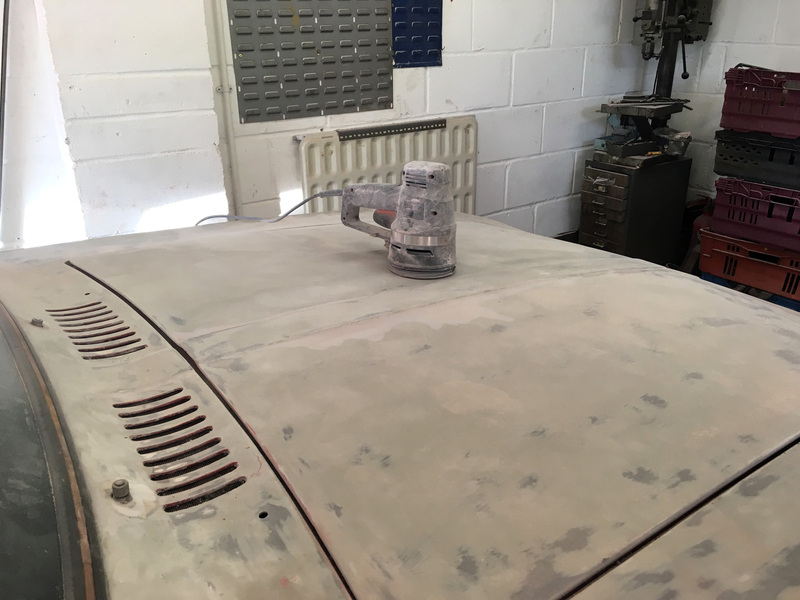 So in the end I ordered some two pack epoxy primer, colour matched to the existing paint and decided to sand / scrape off all the paint, starting with the front end. Eariler in the summer pre omghgf! 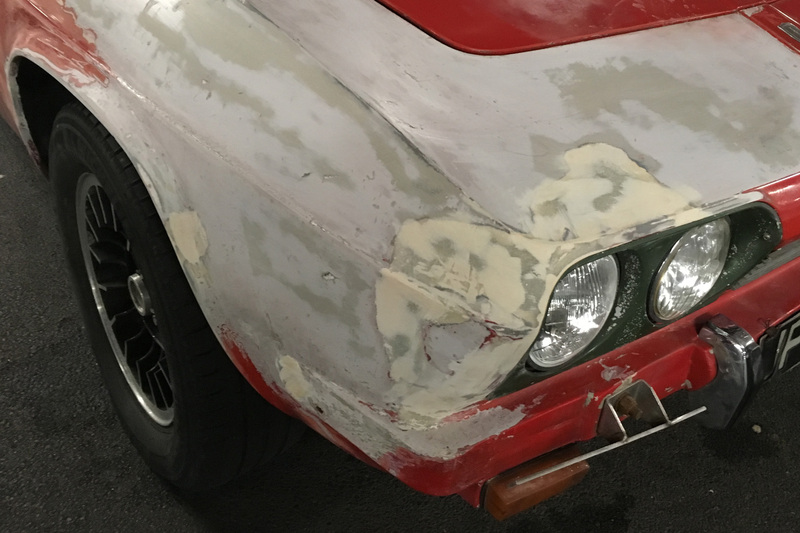 Interestingly as part of the paint removal process there is some evidence that the car may once have been Highland Purple. Difficult to confirm as I only have DVLA records that go pack as far as computerisation In 1976. The DVLA say it was definatey red by then, so its hard to know if there was a colour change while it was at Reliant. or if it just had a respray early in its life. The purple paint is the first colour after the origonal primer and there is no primer between that and the red coat. 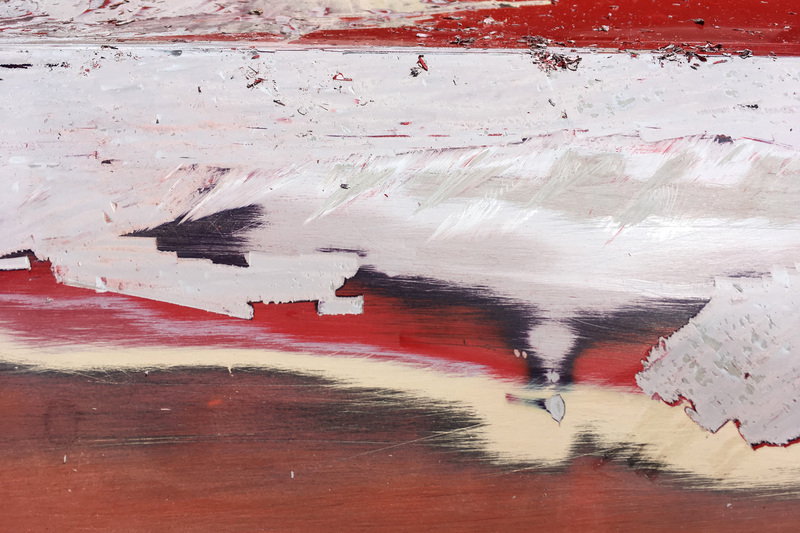 Heres another shot showing how thick the paintwork is! Here's a few more shots as the sanding back progressed.